Here's one for history buffs and tourists. Cemeteries not only hold the dear departed's remains in peaceful protective slumber, some cemeteries actually hold parts of Philippine history! If you take a stroll through some of the cemeteries listed below, you will gain important lessons in the nation's interesting history. Now a well-tended recreational area, Paco Park was once called Cementerio General de Dilao or Cementerio General de Paco. During the time when the Philippines was still a colony of Spain, Paco Park Cemetery was Manila's municipal grave site. Built in the late 18th century, many of Manila's wealthy residents were buried here, until 1822 when it was used as a mass burial site for cholera epidemic victims. After his execution at Bagumbayan, National Hero Dr. Jose P. Rizal was buried at Paco Park, until his remains were later moved to its current location at the Rizal Monument. 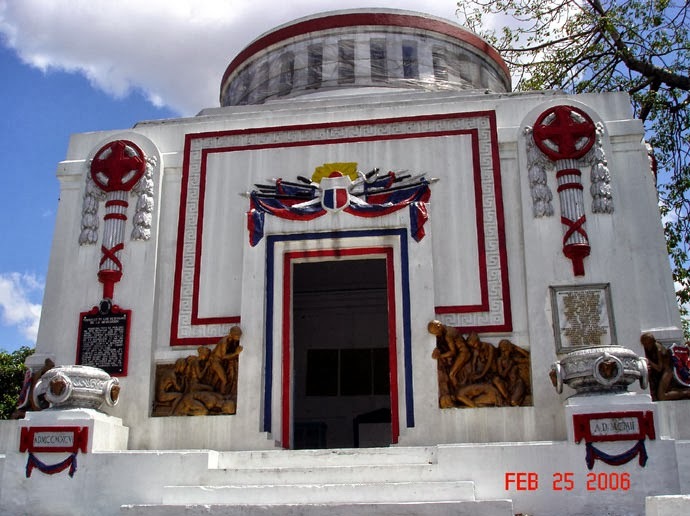 Paco Park is also the burial site of the three Filipino priests Jose Burgos, Mario Gomez and Jacinto Zamora, who were accused of mutiny and rebellion in Cavite in 1872, and were eventually executed by the Spanish colonial government. In 1912, Paco Park ceased becoming a burial ground, and eventually turned into a beautiful garden and recreational area for Manila residents. Dr. Jose P Rizal was initially interred at Paco Park cemetery after his execution. 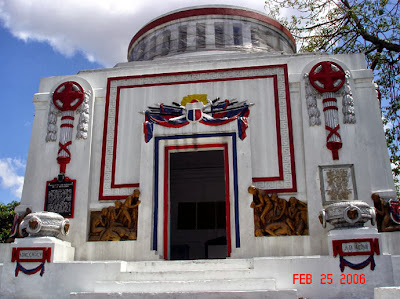 Cementerio General de La Loma began receiving interments in 1884. It is the oldest cemetery in the city. 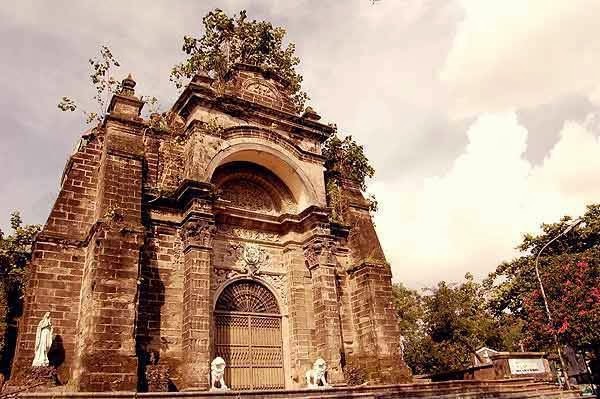 It earned a spot in Philippine history because during Spanish colonial times, Filipinos who rebelled against the Spanish authorities were banned from being buried in La Loma. Being denied burial in holy grounds such as cemeteries was considered a grievous misfortune in the Spain-catholicized country back then. La Loma cemetery survived destruction in 1945 during World War II. The historic Battle of Manila laid most of the city's structures in ruin, but the cemetery remained intact, preserving its historical and architectural value. The Manila North Cemetery is one of the biggest and oldest grave sites in the city. 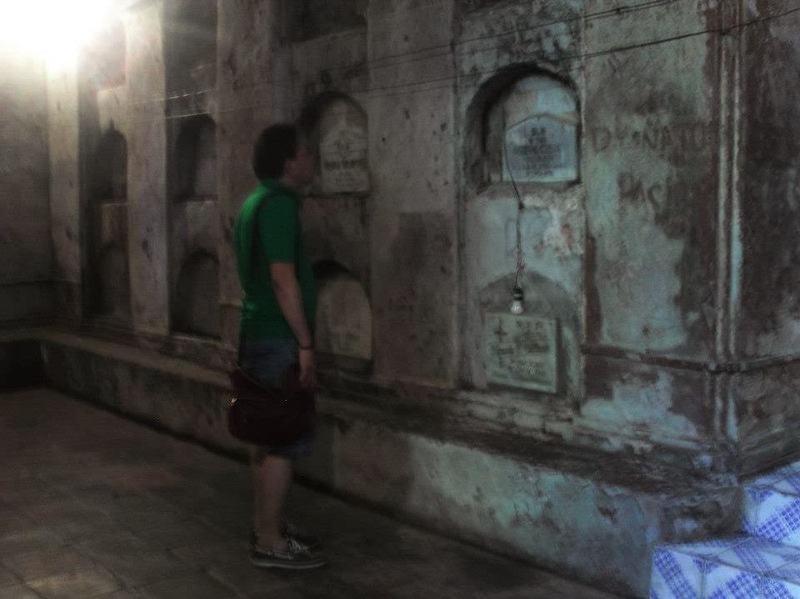 It was known as the Cementerio del Norte during the 19th century under Spanish colonial rule. The cemetery was and still is the burial grounds of many prominent figures in the nation's historical landscape. María Agoncillo-Aguinaldo, the wife of the first Philippine President Emilio Aguionaldo, was originally interred here. The mother of the Katipunan, Melchora Aquino or Tandang Sora, used to rest here. Emilio Jacinto, Marcelo del Pilar, and many Filipino heroes were once buried at the same cemetery. Several Philippine Presidents, senators, artists, and the most famous showbiz personality in Philippine cinema -- Fernando Poe Jr. -- are in this cemetery. 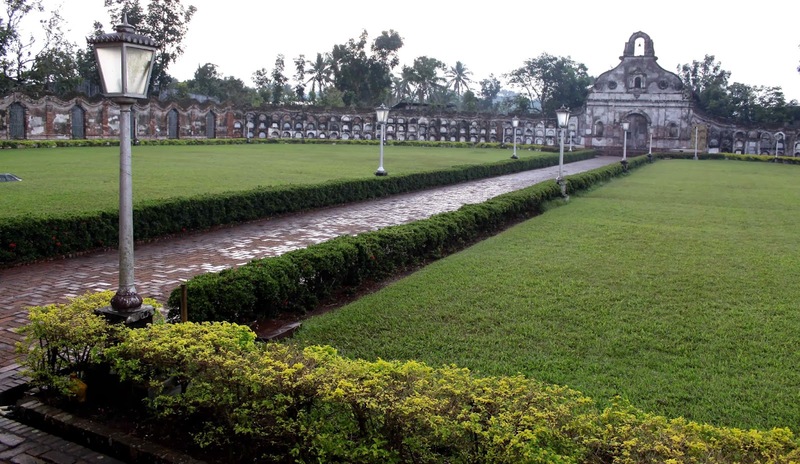 The underground cemetery in the town of Nagcarlan at the province of Laguna is the only underground cemetery in the country. It served as the secret meeting place of Filipino Katipuneros after it was built in 1851. Because of this part in history, the cemetery has been deemed a National Historical Landmark. 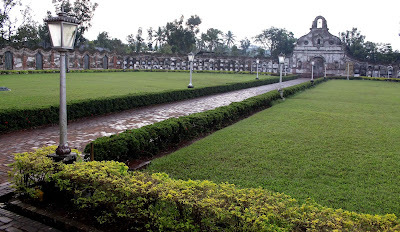 The cemetery is a favorite tourist stopover nowadays, because of the detailed architecture of the burial grounds, the church and the crypts underneath. 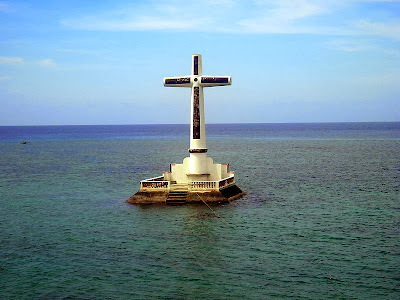 The Sunken Cemetery in Catarman, Camiguin is so-called because there was once a large burial site in this community. When the island volcano, Mount Vulcan, erupted in 1871, the cemetery together with portions of the town sank 20 feet below sea level. What was left of the cemetery was marked by a large cross that can be seen in the water from the shores of nearby Barrio Bonbon. Journey back to the Philippines' pre-colonial period with the hanging coffins at Sagada in the Mountain Province. This place is not the traditional cemetery that can be found everywhere else in the country. The hanging coffins are literally coffins hanging on the cliffs of Echo Valley. 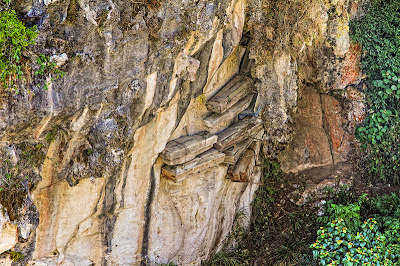 It was the burial custom of pre-colonial Igorots, the ethnic dwellers of Sagada, to carve their coffins from hollowed pine trees, and place these coffins on ledges in the cliffs. They placed their dead on cliffs because they believed that the higher the coffins were located here on earth, the closer the dead were to heaven. Many of the islands of the Philippines hold their own interesting culture and traditions. Burial rituals and therefore cemeteries are part of this rich heritage. Wherever you happen to be in the Philippines, try visiting the community cemetery and discover more of the country through the way they Filipinos their dead.